Kelowna, Canada – 22nd April 2015 – Northern Uranium Corp. (TSXV : UNO) (“Northern Uranium” or, the “Company”) is pleased to provide a progress report on the drilling at its 50% owned North West Manitoba property. The Company is in the process of earning a 70% interest in the project from CanAlaska Uranium Ltd (TSXV:CVV). 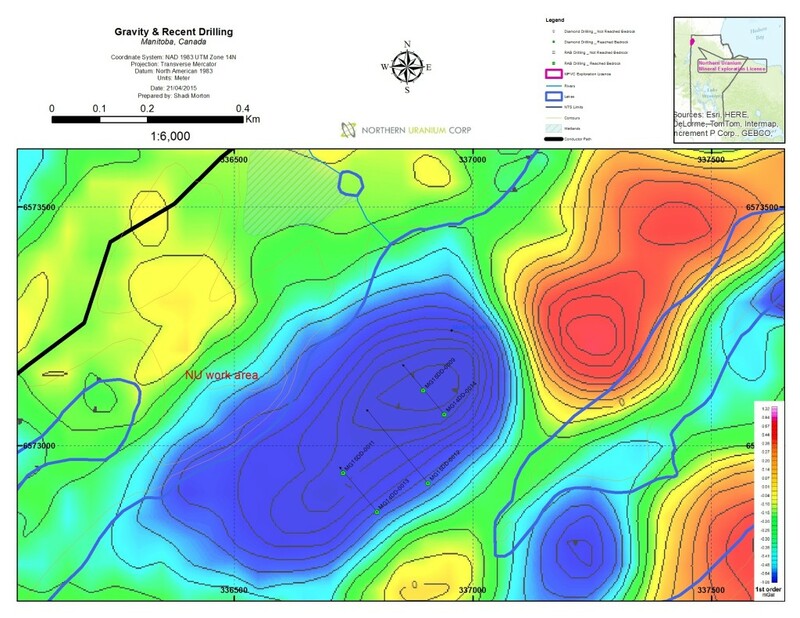 Northern Uranium's winter drill program at Maguire Lake continues to intersect a substantial hydrothermal alteration zone, with multiple structures over a 100 metre width and 300 metre strike length characterized by intense clay-hematite alteration. Unconformity style uranium mineralization within the Athabasca basin is associated with these hydrothermal alteration zones. Within the last month three holes have been completed on the project and drilling is currently underway on a fourth. A map showing the location of these drill holes is available on the Company's web site. 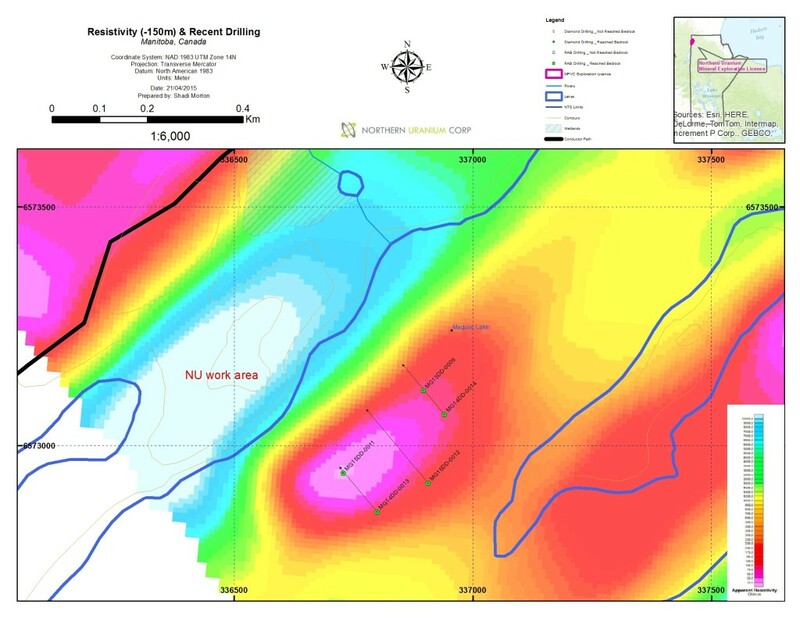 The first significant uranium mineralization has been detected in hole MG15DD-0012.